Bequia Island is small but has unique, magical properties that cannot be matched elsewhere in the Caribbean. The Bequia island has less than 6000 inhabitants. You become one with the homely atmosphere from the moment you set foot on the island. The watchword on the island is friendliness. The pace of life is relaxed and easy-going. It is common to be greeted while you stroll along the streets. The Bequians depend on the century-old tradition of inter-island shipping and trading. This indicates that Bequians have been busy welcoming tourists to their shores for many generations. The seafaring heritage of the island is its most striking features. All Bequian families have some remote connection to the sea. The present fishermen, sailors, and boat-builders proudly share their marine traditions with other newcomers of the island. 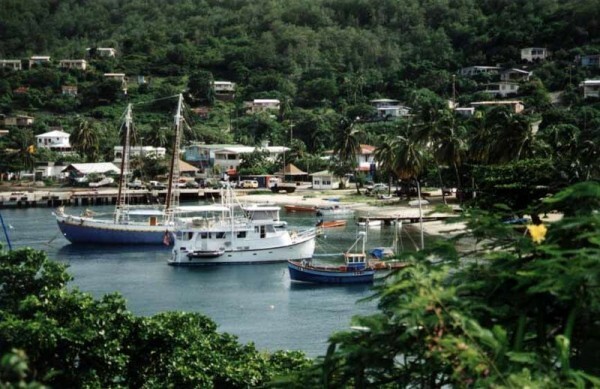 Bequia Island fulfil many requirements of a perfect Caribbean island. The island has beautiful sandy beaches. If more than ten people gather at a particular spot, it is regarded as a crowd. The island is replete with lush green hillsides, quaint little villages and intimate hotels and guest houses. There is not much traffic. In addition, there are scores of places to experience that perfect solitude. There is plenty of variety and choice, which may come as a surprise on so small an island. It is good idea to opt for a holiday that offers complete beach relaxation. The wonderful waters of the island are ideal for sailing and diving. Explore the island on foot or, alternatively, rent a car. Discover much more than the golden beaches. You can even visit neighboring islands with the help of day or overnight trips. Unwind on a perfect day by doing ‘nothing’. You as a visitor can choose from luxury hilltop villas, self-catering apartments, first-class small hotels, beachfront guesthouses, or chartered yachts. These yachts sway quietly at anchor near a deserted beach. The nightlife, too, is varied. Choose from gourmet international cuisine and delectable local cooking. The local bars offer wonderful cocktails and sundowners. Romantic candle-lit dinners are accompanied by steel band music. The warm tropical nights comprises of an orchestra of singing cicadas and gentle surf. The elegant, star-studded sky indicates that this is the place you have been searching for.